Coach Clarence Jennelle has coached kids for over 22 years in Pennsylvania. He co-founded one of the most successful youth field hockey clubs in the US called X-Calibur. 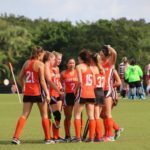 The club has over 500 members and has won numerous gold medals at the National Hockey Festival, Disney Showcases, and other national US events. Clarence was also a Varsity Coach at Owen J Roberts High School and in his time with the Wild Cats, he led the team to three back-to-back league championships, two district championships and a state semifinal. 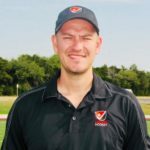 He has also been involved for many years in the US developmental program, Futures, as a Lvl1 & Lvl2 coach, a site director, a selector and has coached 12 national futures championship teams. Clarence is a USAFH Level II Certified Coach. 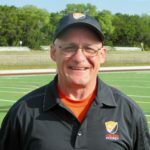 In 2015 he made the journey from Pennsylvania to Texas to help grow and develop the sport of Field Hockey in the Lone Star State. 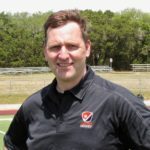 Clarence joined Lone Star Field Hockey as head coach in August 2018. His motto is, “It is better to have tried and failed than to have never tried at all.” A good athlete takes every failure, works out the kinks, and turns it into a success with hard work, dedication and determination. Clarence looks forward to helping build a community of respect, determination, drive and hard work. The ultimate goal—having fun, developing a winning attitude and translating that into goals for games. Ali has has played field hockey since he was 11 years old. He played for Monkstown Hockey Club, in Dublin, Ireland on all of their youth travel teams winning Under 16, Under 19 and Under 21 championships and represented Leinster for two years in the Under 21 Interprovincial championships. Monkstown’s Senior Mens’ team is a division 1, all Ireland league team and Ali played for the senior team for 17 years from age 19 to 36 and captained it for two years. During that time he won several Irish trophies, played and won tournaments in Germany, the Netherlands, the UK and South Africa and was selected to the Leinster Senior Mens’ team. He coached in the Monkstown “colts” program for several years prior to moving to the US in 2002. Ali lived in Northport, NY until 2015 and got involved with Northport Field Hockey and Lasting Legacy Field Hockey as his own daughters started playing more competitively. He coached the Lasting Legacy U14 travel team who have enjoyed considerable success over the past two years including winning the Northeast Regional Club Championships 2015, participating in the National Club Championships and earning a USAFH national ranking of 8th for 2015. He was also a head coach for Northport Field Hockey 4th/5th/6th grade teams who play in the Fall Long Island Field Hockey Association league. ​ In the summer of 2015 Ali and his family relocated to Austin, Texas. He and his wife, Una, set up Lone Star Field Hockey, Austin’s first and only Field Hockey Club. Ali is also a member of the US Master’s Team who will play in the 2018 FIH Master’s Hockey World Cup in Barcelona. Adam grew up in the Channel Islands, UK and represented the islands at U16, U18 and Senior levels. Upon moving to the UK he attended University of Leicester where he played and was captain of the 1st XI in the BUSA Premier divisions, playing in a BUSA National Final in 2000. After University he played for Coalville HC and continued to represent the Channel Islands. 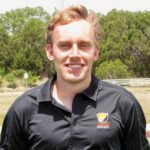 He moved to Washington DC in 2011 and was involved with Washington Field Hockey Association and following his move to Austin in 2015, he joined Lone Star Field Hockey as a coach, player and later as club director. Adam also coached the US Men’s Over 50 Master’s Team in the 2018 FIH Master’s Hockey World Cup. He is an FIH Lvl2 Certified Coach. Hanneke grew up in The Netherlands, and started playing Hockey at the age of six. She played for her hometown, the Oirschot Field Hockey Club, for 27 years. 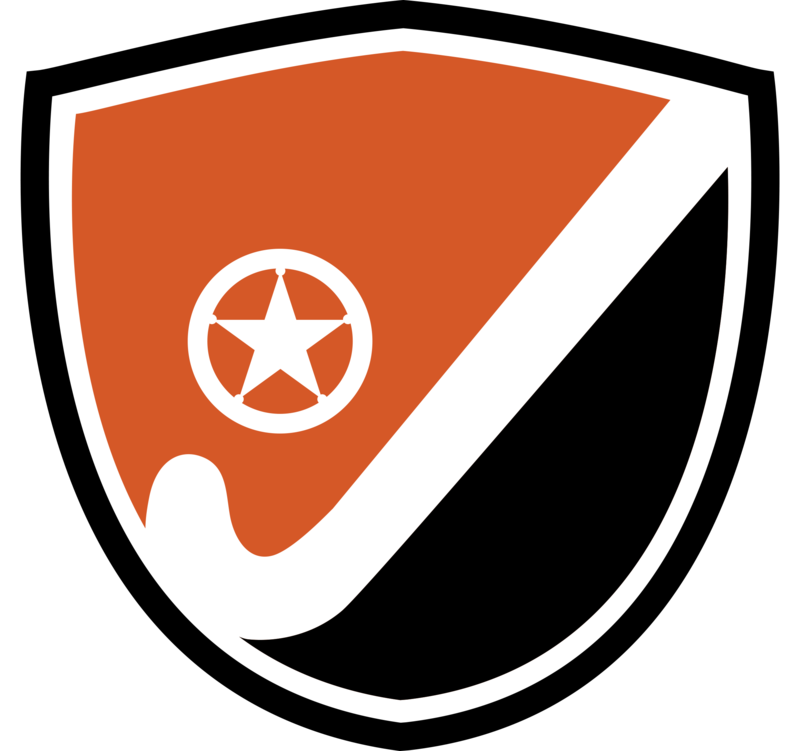 A small Hockey Club – by Dutch standards – of 600 members! From age 6 to 10 she played for the Mini’s, then moved to the Juniors (age 11-18). At age seventeen Hanneke joined the women’s first team, where she played as a center-midfield from the year 2000 to 2015 and captained the team from 2008-2013. She was also selected player of the year in 2013. After playing for the first team for fifteen years Hanneke stepped down and started playing for the Womens Veterans team (30+ yr) in the fall of 2015, and helped them win the title of Division Champions in the 2016-2017 season. Along with her active career as a player, Hanneke was also very involved in the club as a trainer/coach of several youth teams for multiple years and she participated on many committees. 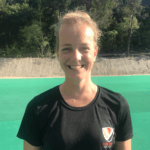 Hanneke still feels strongly connected to her Dutch club and follows them closely. Hanneke and her husband moved to Austin in January 2017, starting a new adventure. We are excited to have her share her Dutch hockey experience with kids here in Austin. 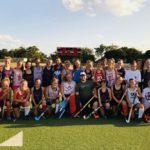 Born and raised in the world’s finest hockey nation, this Dutchman came all the way from the Netherlands to teach Texans how to play field hockey. Tomas started playing himself when he was six and never missed a season after that. Before he left the Netherlands he was captain of his field hockey team in Amsterdam, guiding them trough the difficult and fierce Dutch field hockey competition. He has played tournaments all over the world from Antwerp to Phoenix and loves teaching others the way of the Dutch. In his own hockey game he makes up for his lacking technique by the ability to never stop running. Claire grew up in Louisville, Kentucky where she started playing field hockey in 3rd grade. Claire participated in the USFHA Futures program beginning in middle school through high school. She also played club field hockey with IFHCK. Claire was the varsity captain of her high school team Junior and Senior year, where she set the all-time scoring record and was a finalist for the Ms. Field Hockey Kentucky award. Claire played at Michigan State University from 2011 – 2016, where she helped her team win the Big Ten Tournament and made it to the Elite Eight in the Division 1 NCAA tournament. 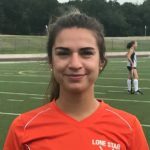 Claire has coached field hockey throughout her career; most recently she was the assistant varsity coach for St. Francis High School in Louisville and began coaching at Lone Star FH after moving to Austin in March 2017. Alayna grew up outside of Philadelphia, PA and started playing field hockey in 5th grade. She played club for WC Eagles and won multiple National Indoor and Outdoor Championships. During her high school years, she was a three-time First Team All-League selection and two-time All-Main Line selection. Alayna continued on to play Division 1 field hockey at Kent State University. Her team won three MAC Regular Season Championships, two MAC Tournament Championships, and made it to the Sweet Sixteen of the NCAA Division 1 Tournament. Alayna was a two-time team captain, four-time NFHCA Division I National Academic Squad member, three-time Academic All-MAC honoree, and two-time Second Team All-MAC player. She was also selected for the NFHCA Division I Senior Game and played in the USA Field Hockey U21 Championship. 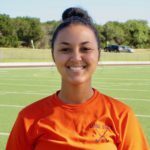 After graduation, Alayna relocated to Austin and began coaching with Lone Star Field Hockey. Adeel Hussain was born and raised in Karachi, Pakistan. He started playing hockey in school and played for the Sindh Provincial Team and for the Karachi Electric Supply club team for U16, U19 and U21. In 2005 he achieved a national record scoring 13 goals in one match against Larkana city in Pakistan. He made his debut in 2006 in Pakistan National Junior Team and in 2008 he played in the Junior Hockey Asia Cup in Hyderabad, India. He was honored as a Man of the Match in a test series between Pakistan Junior team and Kenya Senior team in 2007. While playing for the Junior National Team he also served as a captain for Habib Bank of Pakistan hockey team playing junior and senior interprovincial championships during years 2006-2011. In summer of 2011 Adeel went to Kenya to coach Kenya National team and played for their National league representing Sikh Union Nairobi Club, Kenya. In 2012, Adeel moved to US and joined University of Michigan Field Hockey Club. He has played in the Cleveland Cup, Chicago Cup, Houston Cup and Sacramento cup between 2013 and 2015. In 2015 he made Dallas his home. 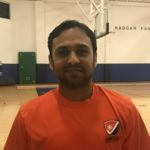 Currently, he coaches for Lone-Star field hockey club and is also an active hockey player for adult Dallas Field Hockey Club. Alyssa grew up in Potomac, Maryland where she started playing field hockey in 5th grade. Alyssa participated in the USFHA Futures program throughout high school. 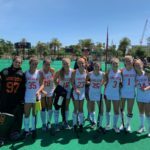 She also played club field hockey and played for many years in the National Field Hockey Festival, Disney Showcase & National Indoor Tournament. Alyssa was the varsity captain of her high school team in her Senior year and earned First Team All County, First Team All Gazette & Team Defensive MVP awards. Alyssa played at Yale University from 2013 – 2017, and earned the team’s Amanda Walton Award in her senior year. 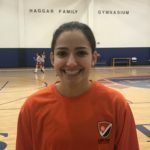 Alyssa began coaching at Lone Star Dallas in 2018.